In many homes the kitchen is the hub of activity, people congregate there, especially during parties. Who doesn’t want to be close to the food? This is why you want to do all you can to ensure as much room for them as possible. Round tables are a great way to seat four to six people efficiently. If your kitchen has an island, it can likely accommodate a number of barstools. Drop-leaf tables can be set against the wall, and with just one side extended it too contributes to efficient use of space. 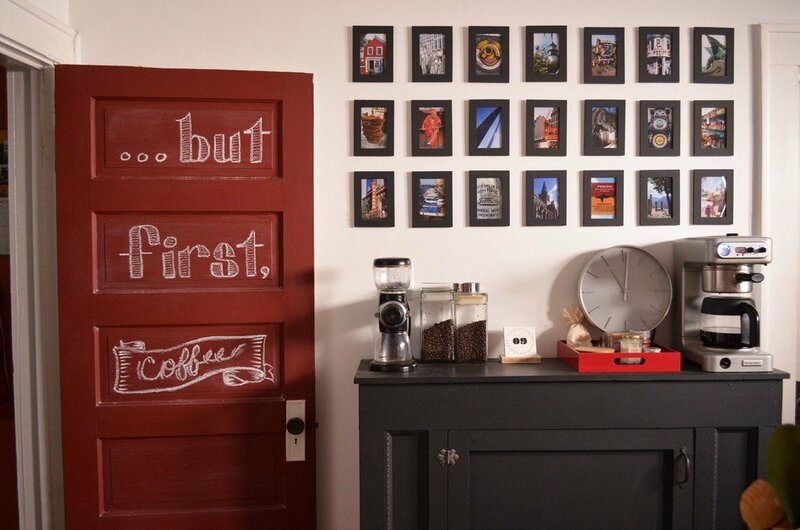 Especially in the absence of a dining room, it is important to follow tips like these. 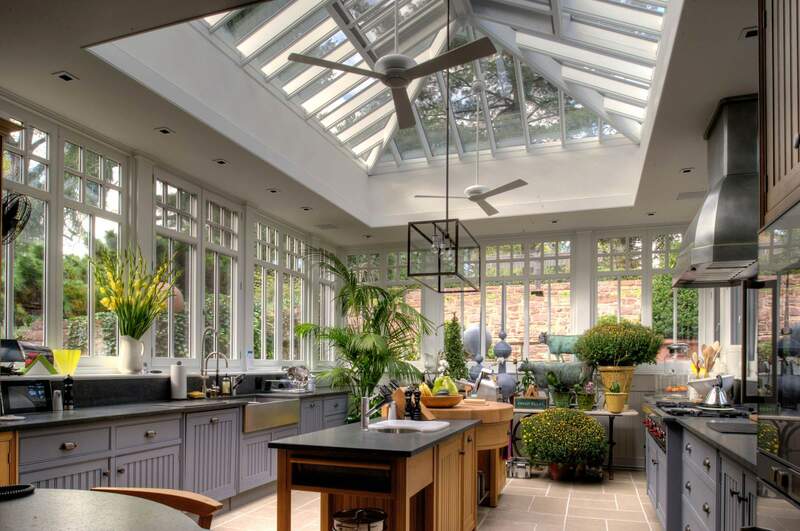 A kitchen soaked in natural light is the ideal. But it isn’t always possible. Sometimes there aren’t enough windows to make it possible. But it is important to have plenty of lighting to accommodate a variety of goings-on. Fortunately there is no shortage of options to improve even a single dim area. 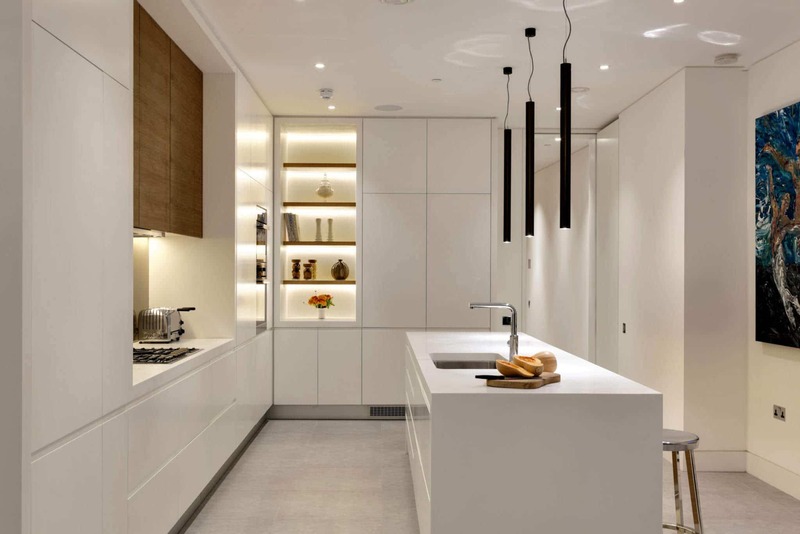 Look into ambient, task and accent lighting alternatives. LED’s are extremely popular right now. It’s never been easier to ensure a fully illuminated kitchen. Of course abundant seating is of little use without plenty of tabletop space to accompany it. It is absolutely necessary to facilitate interaction. 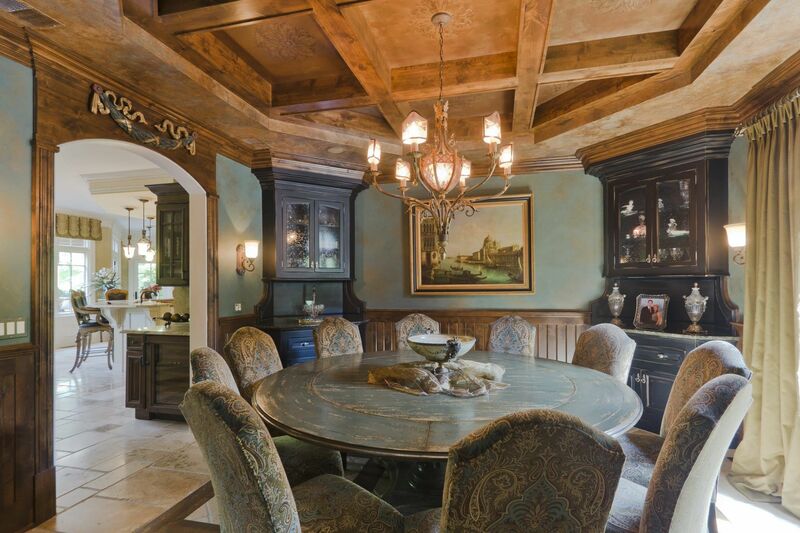 Whether you’re eating or playing cards, each guest needs individual space to work with. The aforementioned island offers much by way of surface area, as do the tables. Hosting a large number of guests who are accommodated with seating and table space – without crowding – is exactly what you want your kitchen to facilitate. If you are not fortunate enough to have a kitchen island installed, you can always opt for a mobile one. A movable workstation or bar cart is perfect for entertaining. You can even use it as additional cooking space. It offers versatility, you can prepare or serve food with it, it can be an appetizer cart, or it may be used to serve drinks! There are many types available, the stainless steel ones are particularly durable, easy to clean and quite affordable. Among things people fail to consider as parts of a great kitchen are organized drawers! Guests shouldn’t have to open three of them before asking where you keep the spoons. Keep things neat with inserts and dividers – or trays – that keep everything divided into their own categories. You can’t just throw everything in there. Utensils need to be together and separated by type (forks, knives, etc…), accessories such as pot holders, jar openers and dish towels should have their own neat enclosure as well. What is a dream kitchen that doesn’t cleverly conserve space? When you have much more space than there appears, that’s a dream kitchen at work! An easy way to accomplish this illusion is to install pull-out storage. This innovative technology offers excellent accessibility and makes complete use of otherwise out-of-reach “dead space”. Similarly, a corner “Lazy Susan” also provides an efficient use of room. 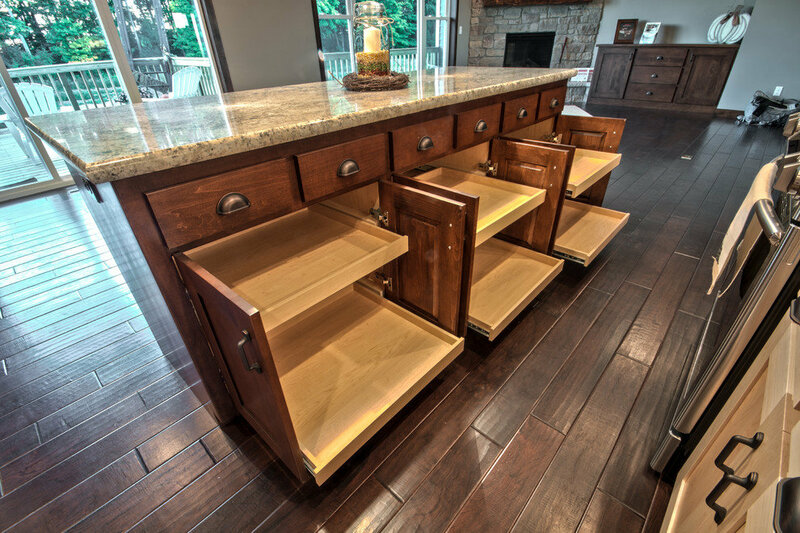 Check out the impressive breadth of storage solutions through your local cabinet company. Hidden storage or a small “garage” designed for your countertop appliances are the ideal space-saving ideas for the modern kitchen. As mentioned previously, pull-out shelves accommodate appliances just as well as any other kitchen accessory. The key is to have a designated space for each appliance that is out of the way but easily accessible. You definitely do not want your accumulated trash to be plainly visible in an open container. Besides the off-putting visual aesthetic, there are potential odors that are certainly unwanted. Although hidden storage isn’t possible for all kitchens, trash bin lids are, and should always be used. Concealing trash is perhaps the optimal use of pull out drawers. If the concept is out of your budget you should opt to keep your trash container within one of your lower cabinets, perhaps under the sink. 25 years ago, it wasn’t given much thought. A Mr. Coffee Coffeemaker was sufficient for the majority of homes. But times have changed – as has our love for coffee – it’s grown exponentially! Enclose your coffee station in a cabinet or create a designated countertop area – it’s all good. The idea is to have it all in one spot, your brewer, grinder, beans, filters, etc… a dedicated place surely to be the center of morning routines everywhere!